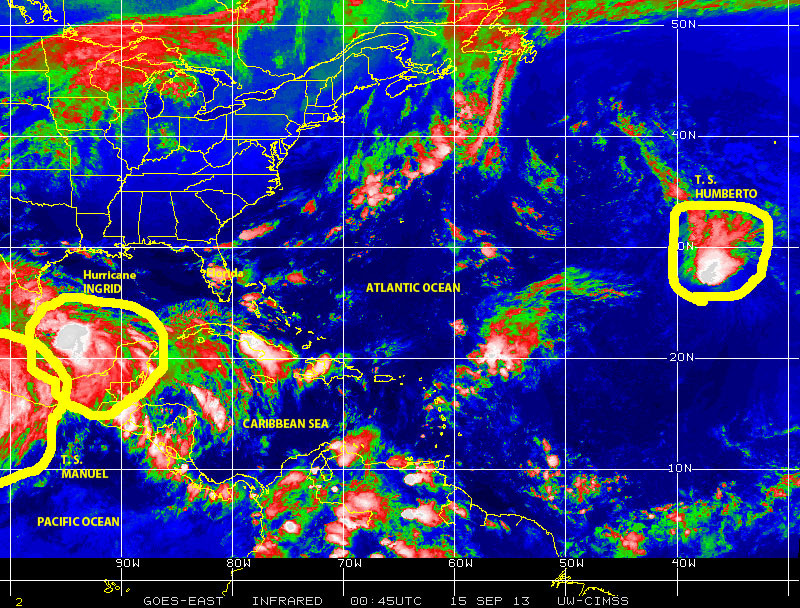 One Week Later: Two More Tropical Storms & a Bunch of Tropical Waves! 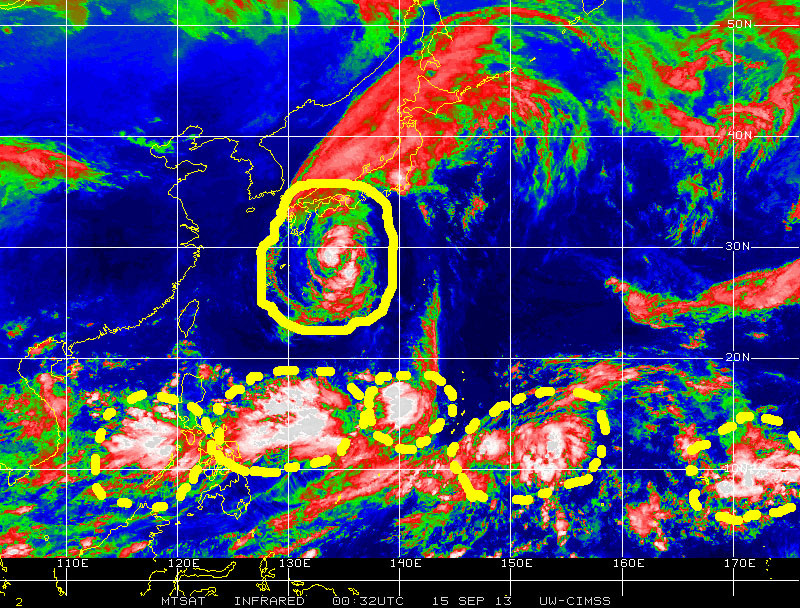 Last 14 August 2011 Tropical Storm GERT, the 7th named storm of the season, generated and my question was: “seven down, how many more to go?”. 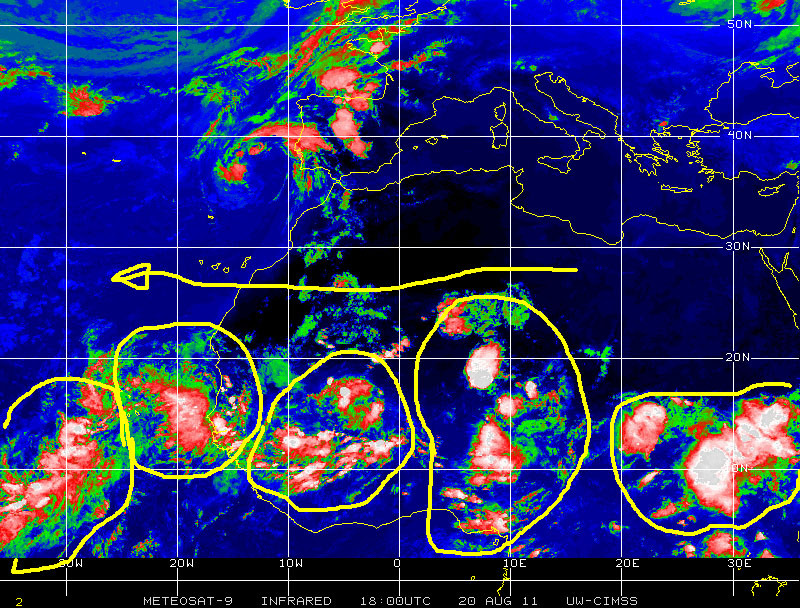 Along these lines you may want to revisit my postings of 27 July 2011: 2011 Atlantic Hurricane Season: a New Level of Activity Ahead? and of 7 August 2011: 7 August 2011: Looking East. 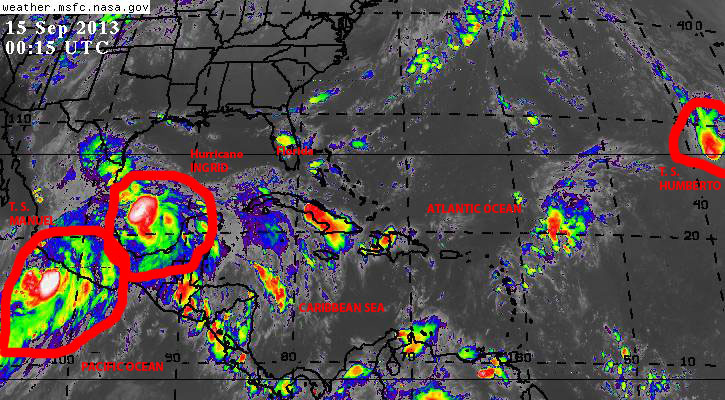 Color enhanced infrared GOES satellite image on 20 August 2011 showing Tropical Storm HARVEY over Belize, Tropical Storm IRENE over the Lesser Antilles, and a large tropical wave following behind along hurricane alley. 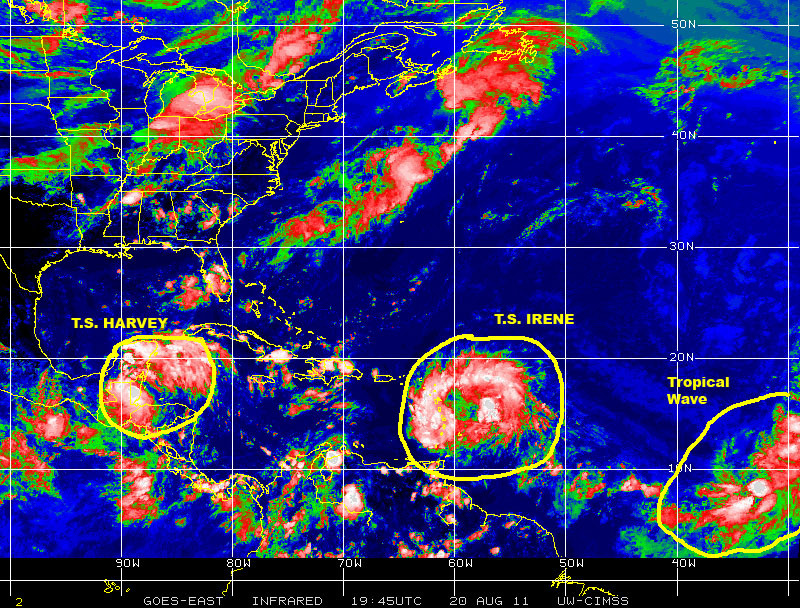 So, here we are on 21 August a mere week after GERT activated and we have seen Tropical Storm HARVEY come across hurricane alley into the Caribbean to make landfall in Belize, and as Harvey started to decay as it continued moving inland another tropical wave in hurricane alley strengthened to become Tropical Storm IRENE, the ninth-named tropical cyclone of the 2011 Atlantic hurricane season, as it moved over the Lesser Antilles penetrating the Caribbean sub-basin on a westward track. 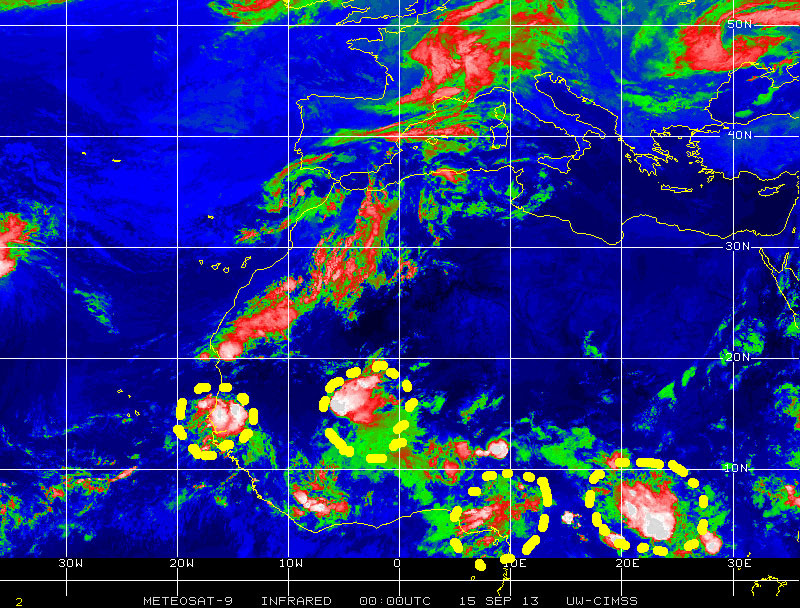 But if having the 8th and 9th named storms of the season were not enough all we have to do is “look east”, as it was suggested in a recent posting, across hurricane alley, the eastern Atlantic and far beyond over equatorial Africa to see a bunch of tropical waves making their westerly trek toward the warm ocean waters near the Cape Verde Islands. Clearly all signs are there is more to come over the next few weeks as we enter what historically has been the most active period of the annual Atlantic hurricane season, although for some reason it empirically seems it has gotten a lot more active earlier during this 2011 season!